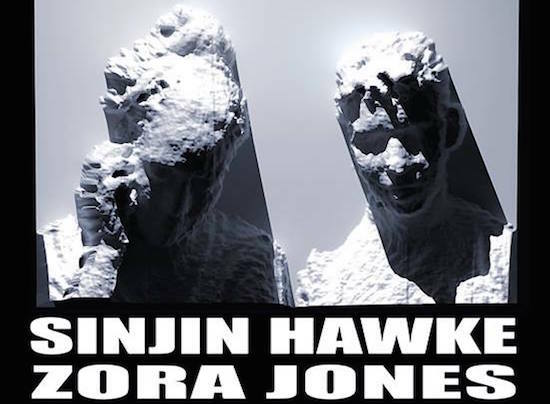 Sinjin Hawke & Zora Jones‘ long awaited return to the West Coast has been a long time coming and, this Friday (5/8), we finally get to catch the two live, in the flesh. Slotting into IHC Presents’ Club IHC format, Sinjin and Zora will be accompanied by GHET20G0TH1K’s own Venus X and local fave P. Morris at The Lash Pop Up in Hollywood. We don’t make it out to that quarter of the city all too often these days, preferring our friendly confines on the Eastside, but if there ever was a time to head up the 101, Sinjin and Zora’s tour stop is it. From their respective work with Pelican Fly to the ongoing, collaborative and visually groundbreaking Fractal Fantasy series, these two have married a wildly unique digital aesthetic with brilliantly functional club forms. With L-Vis 1990, MikeQ, DJ Taye and more involved, Fractal Fantasy has hosted some of the most multidimensional sonic adventures in the club music realm, and that’s before you even touch on the videos, all-engulfing 3D adventures into obscene dance floor negatives, modular death stars and contortionist silver globs. It’s all stunning really. Add to that Sinjin’s recent co-production on “Wolves”, opening single from Mr. West’s new Swish LP, and the fact that the duo have already been in the studio with Sicko Mobb and a melange of Chicago legends on this tour, and this Friday is going to be unmatched in LA lore. Enter your favorite song/video from the Fractal Fantasy series in the form below for your chance at a pair of free tickets. Expect this one to sell out so get in on the contest, but also get your own ticket as a back up plan.